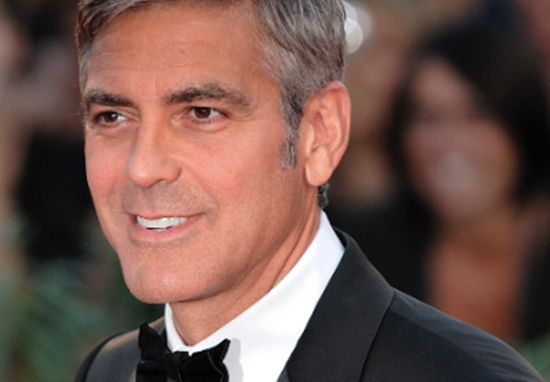 George Clooney has shown himself time and time again to be a thoroughly decent guy, and the extent of his generosity has now been revealed. Back in 2013, the Hollywood superstar reportedly gave 14 of his closest friends the exceedingly benevolent gift of $1 million (approximately £750,000) in cash. These lucky individuals were apparently people who helped Clooney while he was still forging his career, offering him the support he needed to become one of the most instantly recognisable actors in the world. I’m over here hoping I️ win $20 on a scratch ticket and George Clooney’s handing out $1.3 mill to 14 of his friends…..
Entertainment industry businessman Rande Gerber – who is close to Clooney – recalled the big-hearted gesture during an appearance on the MSNBC show Headliners, E! reports. George begins to say, ‘Listen, I want you guys to know how much you’ve meant to me and how much you mean to me in my life. I came to Los Angeles, I slept on your couch. I’m so fortunate in my life to have all of you and I couldn’t be where I am today without all of you. So it was really important to me that while we’re still all here together, that I give back. So I want you all to open your suitcases’. Every one of us – 14 of us – got a million dollars. Every single one of us. We’re in shock. Like, what is this? He goes, ‘I know we’ve all been through some hard times, some of you are still going through it. You don’t have to worry about your kids, you don’t have to worry about, you know, school, you don’t have to worry about paying your mortgage’. One was working at a bar in Texas at the airport, trying just to support his family. Rides a bicycle to work every day. Immediately George goes, ‘I’m just going to make one announcement. If Rande doesn’t take the million dollars, nobody gets it.’ … This is who George is! George and Amal Clooney are estimated to have a joint fortune worth £121 million as of 2015, according to The Sunday Times Rich List. This is now expected to have risen since then, on account of George Clooney’s successful business endeavours. His tequila company Casamigos – which he founded alongside Rande – sold for nearly $1bn (about £750m) earlier this year. Its always the good guys who remember who their true friends are. Lets hope we would all be as gracious as Clooney if we found ourselves to be in a similar situation.